Big moments. Little moments. And everything in between. 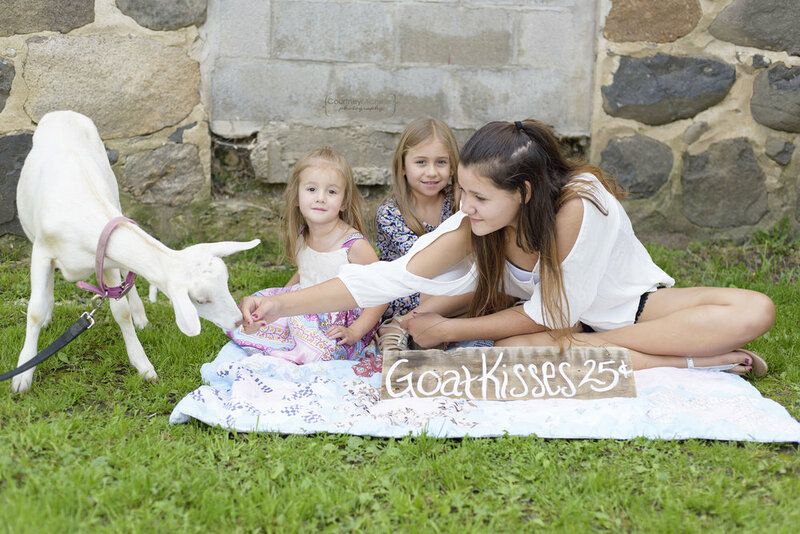 I had a quick photo shoot with my nieces and some friendly baby goats when I was last in Wisconsin. It was the hardest thing I've ever photographed! 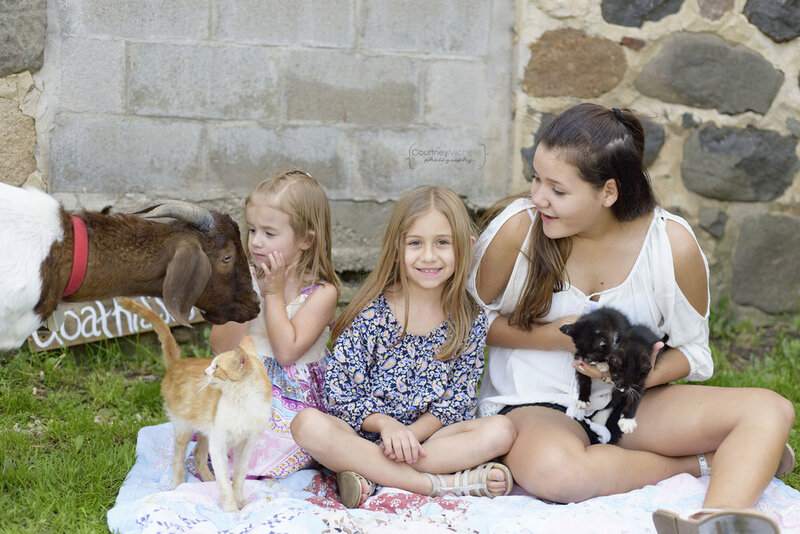 A sick baby, an un-napped baby, two uninterested girls and some jumpy baby goats made for a huge challenge! But I still love these photos and have now fallen in love with goats. Professional Portrait Photography by Courtney Laper in the greater Chicago area. We respect your privacy and will never share your info with anyone. Thank you SO much for subscribing! You can expect to hear from me about once a month with photo tips, events and special promos only offered in email. Courtney Laper focuses on documenting moments & relationships with a mix of lifestyle and posed portraiture. She is located in Chicago, IL but travels all over.